Black people in Missouri are disproportionately stopped or harassed by police. Twenty years of collected data shows Black drivers are stopped at a rate 85 percent higherthan white drivers. And too many police departments across the state regularly use disproportionate force in dealing with minority individuals. Missouri offers yet another example. Josh Bills, a Black man living in Kansas City, found himself on the receiving end of just this kind of police misconduct. In December 2013, walking blocks from his home, Bills was approached by five officers who surrounded him. He greeted the officers calmly. He stood with his hands down to his sides at a 45-degree angle. He did not act aggressively. The police stopped him because of a call about a “Black man, black clothing.” Then the encounter went south — a scene emblematic of racialized policing that is all too familiar. 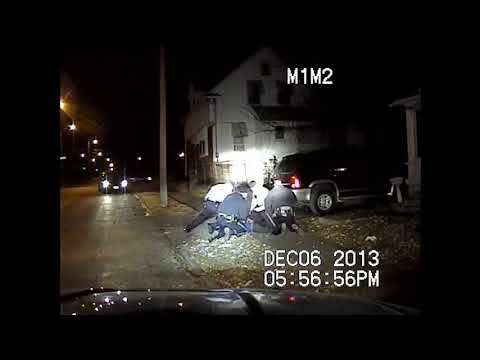 Despite being cooperative with the officers, Officer Jordan Nelson, without warning, grabbedone of Bills’ arms and violently kicked his legs out from under him, smashing his face into the concrete. As Bills lay on the ground, injured and motionless, another officer knelt on his back to restrain him while they placed him under arrest. Chillingly, a few minutes after the brutal altercation, Nelson re-enacted the takedown for his fellow officers at the scene while Bills was still lying on the pavement waiting for medical attention. And it was all caught on video. Bills has been denied justice for the violation of his Fourth Amendment rights. So the ACLU of Missouri sued. As a Black resident of Kansas City, Bills was no stranger to racial profiling and police abuse. “This isn’t the first time this has happened to me — when a police officer has said, ‘Hey, you look suspicious’ for no reason other than my skin color,” Bills said. “It’s not even the first time I’ve been roughed up. It’s just the first time I’ve been able to draw attention to it. My existence shouldn’t be cause for concern.”Bills was held in jail for two weeks without bond following the incident. He lost his job. Bills lost faith in the police and understandably avoids them at all costs. “You just don’t know which ones are trustworthy,” he said. Bills’ fear of law enforcement is representative of the wider breach of trust between law enforcement and people of color nationwide. Four officers stood by and chose not to intervene the night Bills was brutalized. They each had the opportunity to take a stand and do their jobs by halting the abuse. Or they could have reported their fellow officer after the incident. The breach of duty extends to all the officers involved, not just Nelson. The state is no stranger to discrimination and abuse of force in policing. Every Missouri law enforcement agency should implement anti-discrimination training, de-escalation training, and stronger and more well defined use-of-force policies, and they must hold officers accountable when they violate those policies and the law. This is the first step to building trust between police and the communities they serve. The ACLU of Missouri is committed to making community-focused policing that respects the Fourth Amendment a priority. When we asked Bills what he hoped his experience and case would change, he said he wanted the Kansas City Police Department to be held accountable and to not treat anyone else like this again. And his call for accountability should echo across the nation. Police departments need to demonstrate a commitment to fairly protect the communities they serve, not make them targets of police misconduct.